Considering carpet cleaning in winter? The answer to this question is yes! Whether it is winter or summer, there isn’t any reason why you shouldn’t considering carpet cleaning in winter. If you have a high traffic carpeted office or living area, the build up of dirt can affect the hygiene of your work or living space by negatively impacting the indoor air quality. This in turn can affect employee health and affect absenteeism too. The build up dirt on carpets can also damage your investment and could end up costing you a fortune to replace the carpets. Most high traffic areas should be deep cleaned every 6 months. For areas that are not as busy, once a year is sufficient. 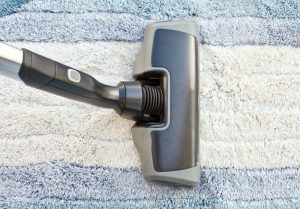 Making an appointment with a carpet cleaner can also prove to be much easier as most people tend to think that carpets should be cleaned in summer. Then when the summer months arrive it becomes difficult to get a booking for a carpet deep clean. If you are concerned about drying times there is no need to be concerned as it only takes a few hours to dry if the rooms are well ventilated. Never walk on the carpets whilst they are still damp as this may soil them again. Never move heavy furniture back on to wet carpets. This may stain the carpet and worse still, the carpet will not dry properly which will make the carpet stink. Keep the rooms well ventilated and let the carpets dry naturally. The above also applies to mattress and upholstery cleaning too.